After Much Hype, Elon Musk Unveils His High-Speed 'Hyperloop' : The Two-Way There hasn't been this much hype for a new technological advancement since the Segway was unveiled in 2001. Musk says his vehicle could make a trip from San Francisco to Los Angeles in 30 minutes. "Inside the tubes, the pods would be mounted on thin skis made out of inconel, a trusted alloy of SpaceX that can withstand high pressure and heat. Air gets pumped through little holes in the skis to make an air cushion, Musk says. 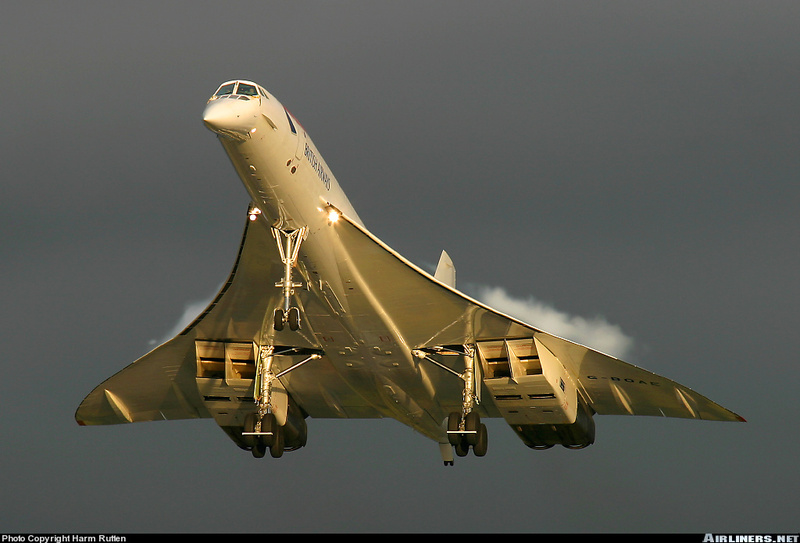 The front of the pod would have a pair of air jet inlets—sort of like the Concorde. An electric turbo compressor would compress the air from the nose and route it to the skis and to the cabin. Magnets on the skis, plus an electromagnetic pulse, would give the pod its initial thrust; reboosting motors along the route would keep the pod moving. And: no sonic boom. With warm air inside the tubes and high tailwinds, the pods could travel at high speeds without crossing the sound barrier. 'The pod can go just below the speed of sound relative to the air,' Musk says." Shortly after the Bloomberg release, Musk published his 57-page paper (pdf) on the project. We're sifting through it and will also listen to the news conference. We'll bring you more once we understand it. During a conference call with reporters, Musk said he expects a project linking L.A. and San Francisco would cost about $6 billion, a fraction of the estimated $70 billion the state believes it would cost to build a high-speed train. What's more, Musk said that he could have a working model in three to four years. "I would like to see it come to fruition and I think it might help if I do a demonstration [model]," Musk said, still emphasizing that this project is a "low priority" for him. The Hyperloop, said Musk, would be powered by solar energy, run on an elevated platform that could resist earthquakes and because it's not on rails, it would not derail. Musk said he designed it to be powered by the motors already used in Musk's electric vehicles. 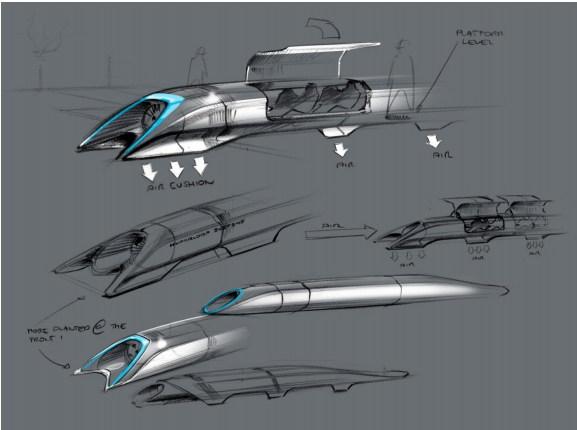 Riding the Hyperloop "would feel a lot like riding in an airplane," said Musk. You would feel an initial acceleration but once it reaches 800 mph, you won't feel much of anything. Note that while at sea level, the speed of sound is 761 mph, this thing would be traveling in an environment with lower pressure, so 800 mph would be just subsonic. It's worth noting that Bloomberg spoke to Martin Simon, a professor of physics at UCLA, who said this idea was feasible from a technological stand-point. "Simon points out that the acceleration methods proposed by Musk are used at amusement parks to get a roller coaster going," Bloomberg reports. "Other companies have looked at these techniques for passenger and freight vehicles. What sets the Hyperloop apart, though, is the use of the air cushion to levitate the pods. 'He has separated the air cushion and the linear induction drive, and that seems new,' Simon says, adding, 'It would be cool if they had transparent tubes.'" Imagine making the 380-mile trip from San Francisco to Los Angeles in about half an hour. That's the kind of thing Elon Musk, founder of Tesla and SpaceX, says his "hyperloop" can do. Now, what is hyperloop? From what we know, it's basically a vehicle that travels faster than the speed of sound inside a tube. John Gardi, a Canadian tinkerer whose guess got a thumbs-up from Musk, says it's like the pneumatic tubes used in banks to move your deposits around the building. What we know for sure is that Musk will reveal the first draft of his idea this afternoon. The BBC reports he talked about the idea last week during a Google Hangout with Richard Branson. "Mr. Musk claims Hyperloop would be a practical solution for city pairs separated by 1,000 miles (1,600 km) or less. Beyond this distance, it would be better to take a plane, he explained. "But for the shorter distance, his new concept would beat the plane, he argues, because it would not waste time ascending and descending.
" 'It does involve a tube but not a vacuum tube ... not frictionless but very low friction,' is all he will add." As many media outlets are reporting, there hasn't been this much hype for a new technological advancement since the Segway was unveiled in 2001. But the BBC spoke to physicist Martin Archer from Imperial College in Britain. He said if anyone could pull off a grand and crazy idea, it's Musk. Remember, he made electric vehicles fast and profitable, and his company is the first commercial firm to dock with the International Space Station. Musk, however, says he's too busy to build this project himself ... at least for now. We will of course follow up once the design is released at 4:30 p.m. ET. and we'll also listen to a conference call scheduled for 5 p.m. ET.